The UN Security Council Counter-Terrorism Committee invited United Nations University to brief its members on 13 December 2018 in relation to a hearing on the Madrid Guiding Principles at UN Headquarters. It was based on a research project entitled The Limits of Punishment: Transitional Justice and Violent Extremism led by Cale Salih. The project was led by the United Nations University Centre for Policy Research in partnership with the Institute for Integrated Transitions. It was supported by the UK Department for International Development. The findings were published in May 2018, and presented at events held at Whitehall in London and at the Brookings Institution in Washington, DC. In December 2018, members of the research team held roundtable meetings with Iraqi policy-makers to promote uptake of the findings. 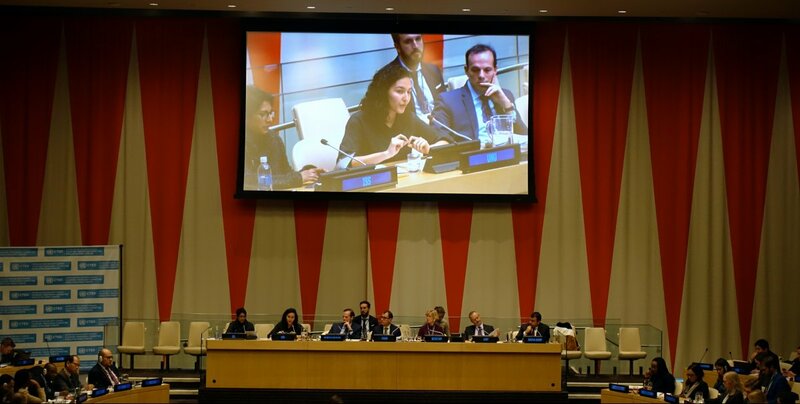 The Madrid Guiding Principles, as well as UN Security Council Resolutions, call on states to pursue a range of goals with respect to individuals associated with terrorist groups, including prosecution and criminalization, as well as rehabilitation and reintegration. Three key findings from The Limits of Punishment research project offer insights to inform the Madrid Principles. Read the full adapted version of the Limits of Punishment briefing.